Stuart Mathis Bagwell was also known as Stewart Mather Bagwell. Stuart Mathis Bagwell was also known as Stewart Mathis Bagwell. He was born on 1 May 1856 in Virginia.1,2 He was the son of Hiram Burton Bagwell and Mary Calloway Hash.1,2 He moved from Grayson County, Virginia to Ironton, Ohio. Joseph Burton Bagwell was born on 4 December 1887 in Weaver's Ford, Ashe County, North Carolina.1,2 He was the son of Winfield Calloway Bagwell and Jane Gincy Cox.1,2 Joseph Burton Bagwell lived in 1900 in Grayson County, Virginia. He served as a Private in Company E, 18th Infantry during World War I. He lived in 1930 in Mecaha, Garfield County, Montana. He died on 15 May 1967 in Fergus County, Montana, at age 79. He was buried at Lewistown City Cemetery, Lewistown, Fergus County, Montana. 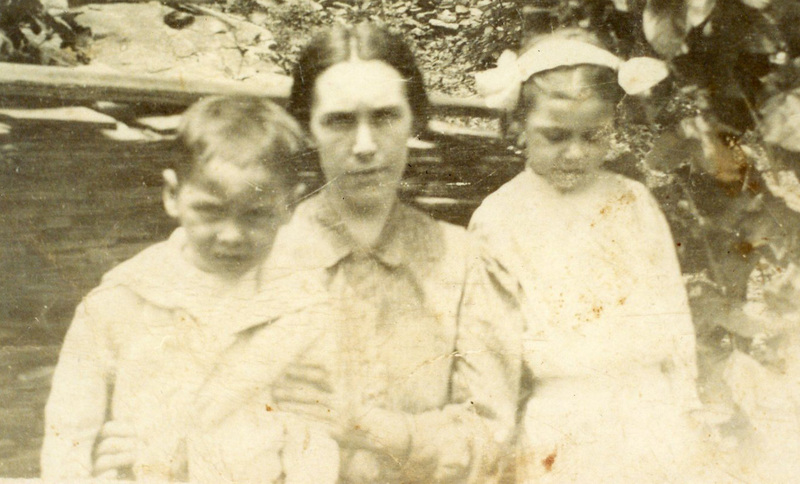 Tina Ludema Bagwell was born on 31 May 1889 in Grayson County, Virginia.1 She was the daughter of Winfield Calloway Bagwell and Jane Gincy Cox. 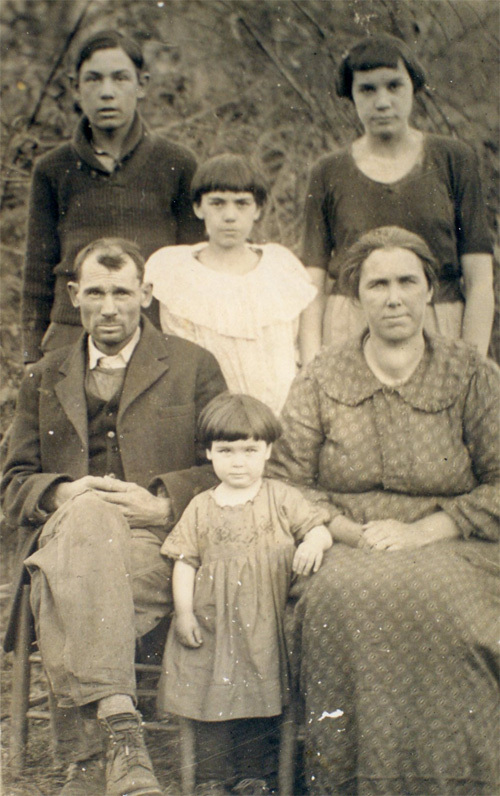 As of 6 July 1909,her married name was Busic.1 Tina Ludema Bagwell married William "Gid" Busic on 6 July 1909.1 Tina Ludema Bagwell and William "Gid" Busic lived in 1910 in Elks Creek, Grayson County, Virginia. Tina Ludema Bagwell and William "Gid" Busic lived in 1920 in Mecaha, Garfield County, Montana. He was a cattle rancher and a mail man. They had no children. Tina Ludema Bagwell died on 26 April 1972 in Billings, Montana, at age 82.1 She was buried at Lewistown City Cemetery, Lewistown, Fergus County, Montana. Anna Laura Bagwell was born on 24 May 1895 in Grayson County, Virginia.1 She was the daughter of Winfield Calloway Bagwell and Jane Gincy Cox.1 As of 20 December 1920,her married name was Anderson.1 Anna Laura Bagwell married Walter Glen Anderson on 20 December 1920.1 Anna Laura Bagwell died on 5 March 1978 in Galax, Galax City, Virginia, at age 82.1 She was buried at Felts Memorial Cemetery, Galax, Galax City, Virginia. Winfield Calloway Bagwell Jr. was also known as William Calloway Bagwell. He was born on 4 September 1914 in Grayson County, Virginia.1 He was the son of Winfield Calloway Bagwell and Martha Emma Luper. Winfield Calloway Bagwell Jr. married Frances F. Stallard on 31 August 1938 at Chester County, Pennsylvania.1 Winfield Calloway Bagwell Jr. died on 30 December 1997 in Kingsport, Sullivan County, Tennessee, at age 83.1 He was buried at Oak Hill Memorial Park, Kingsport, Sullivan County, Tennessee. Frances F. Stallard was born on 23 January 1919 in Scott County, Virginia.1 She married Winfield Calloway Bagwell Jr., son of Winfield Calloway Bagwell and Martha Emma Luper, on 31 August 1938 at Chester County, Pennsylvania.1 As of 31 August 1938,her married name was Bagwell. Frances F. Stallard died in 1996. She was buried at Oak Hill Memorial Park, Kingsport, Sullivan County, Tennessee. Children of Frances F. Stallard and Winfield Calloway Bagwell Jr.
Samuel Stewart Bagwell was also known as Samual Stuart Bagwell.1 He was born on 26 January 1919 in Grayson County, Virginia.1 He was the son of Winfield Calloway Bagwell and Martha Emma Luper.1 Samuel Stewart Bagwell married Mozelle Amanda Luper on 21 December 1938.1,2 Samuel Stewart Bagwell died on 13 November 2009 in Miami, Miami-Dade County, Florida, at age 90.1 He was buried at Woodlawn Park Cemetery South, Miami, Miami-Dade County, Florida. Samuel Bagwell was born on 30 December 1892 in Upper, Lawrence County, Ohio.1 He was the son of Stuart Mathis Bagwell and Martha E. Baldwin.1 He was a coal miner. The research notes also indicate he was divorced.1 Samuel Bagwell married Cora G. Dimmick after 1912. Samuel Bagwell died on 8 August 1925 in Ironton, Lawrence County, Ohio, at age 32 with a cause of death listed as chronic intestinal nephritis.1 He was buried at Woodland Cemetery, Ironton, Lawrence County, Ohio. 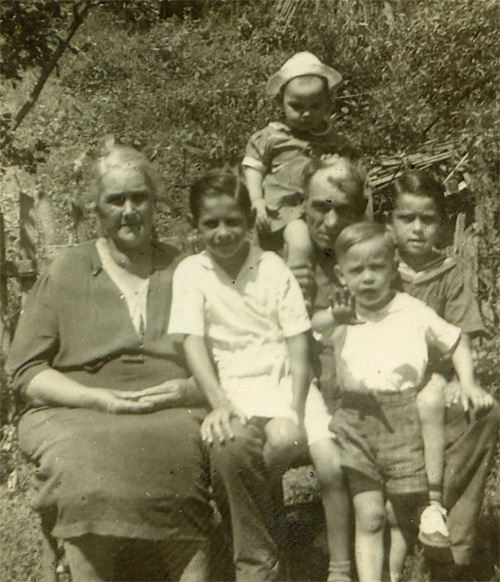 Faye Olive Bagwell was born on 17 September 1908 in Upper, Lawrence County, Ohio.1 She was the daughter of Stuart Mathis Bagwell and Martha E. Baldwin.1 As of before 1925,her married name was Heald. Faye Olive Bagwell married John L. Heald before 1925. Faye Olive Bagwell and John L. Heald were divorced on 12 May 1927.1 Faye Olive Bagwell died on 22 April 1985 in Ironton, Lawrence County, Ohio, at age 76. 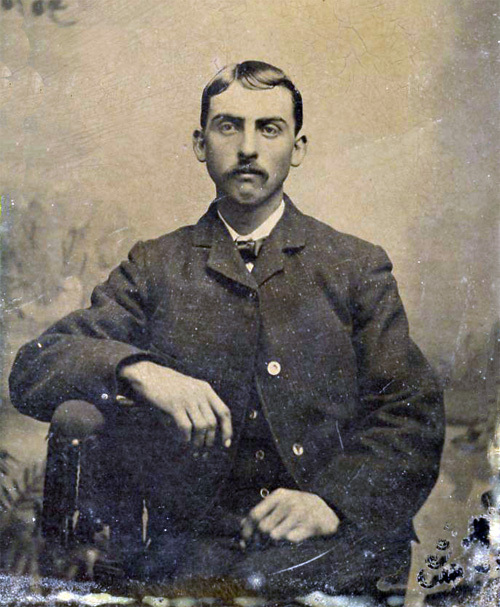 Samuel Reece Bagwell was born circa 1868 in Grayson County, Virginia. He was the son of Hiram Burton Bagwell and Mary Calloway Hash.1 Samuel Reece Bagwell married Agnes C. (?) before 1880. 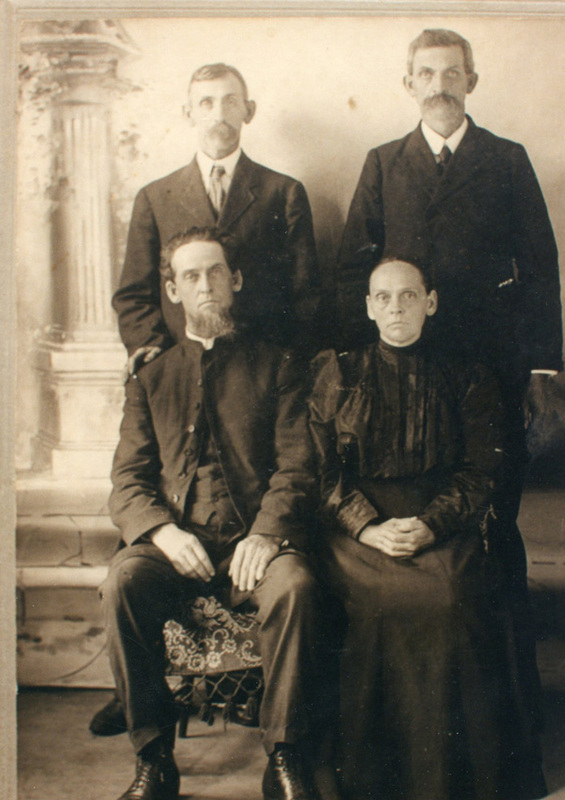 Samuel Reece Bagwell married Mary Calloway after 1880.1 Samuel Reece Bagwell lived in 1900 in Rossville, Kansas. He died in 1949 in Kansas. He was buried at Mount Hope Cemetery, Topeka, Shawnee County, Kansas. Laura Victoria Bagwell was born circa 1869 in Virginia. She was the daughter of Hiram Burton Bagwell and Mary Calloway Hash. Laura Victoria Bagwell married Francis Marion Lawrence after 1880.1 As of after 1880,her married name was Lawrence. Laura Victoria Bagwell died after 1910 in Tazewell County, Virginia. 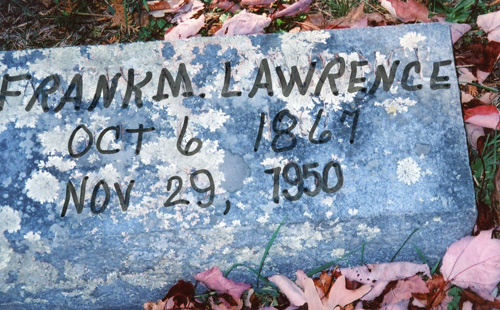 She was buried at Browns Chapel Church Cemetery, Mud Fork, Tazewell County, Virginia. [S1629] Hiram Alex Bagwell Grave Stone, Find a Grave, www.findagrave.com. [S1974] Clara Bell Bagwell Grave Stone, Find a Grave, www.findagrave.com. Tina Marie Bagwell was born on 20 April 1907 in Virginia. She was the daughter of Hiram Alexander Bagwell and Clara Belle Bishop.1 As of after 1920,her married name was Mundy.1 Tina Marie Bagwell married (?) Mundy after 1920.1 Tina Marie Bagwell died on 15 February 1988 in Bluefield, Tazewell County, Virginia, at age 80.